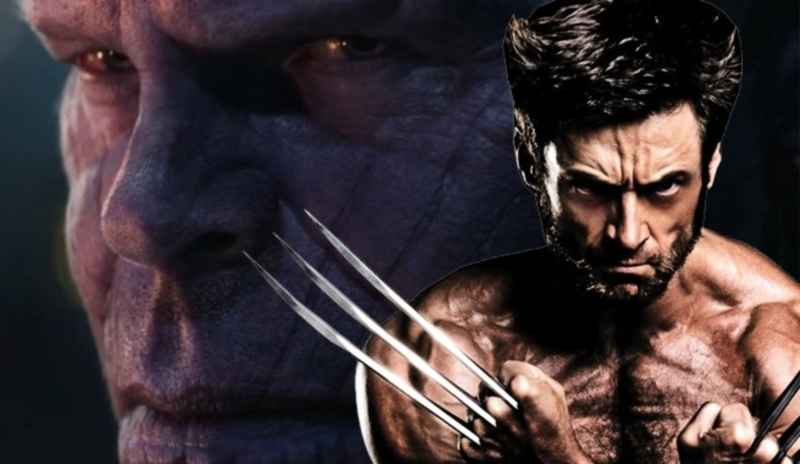 Wolverine vs Thanos: Here's Why Wolverine Will Lose In A Fight! 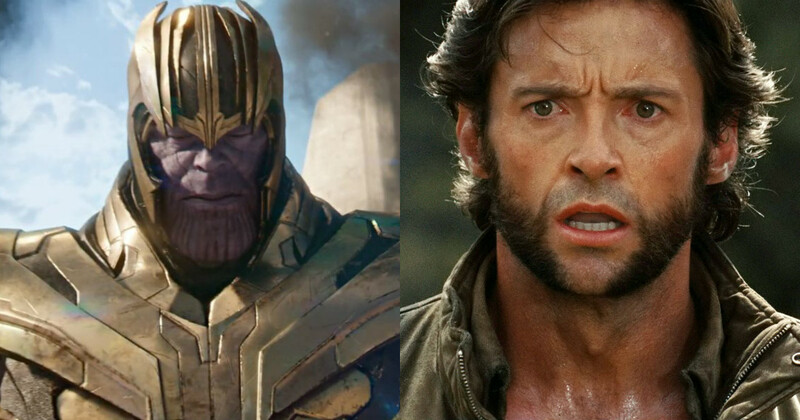 Wolverine vs Thanos: Here’s Why Wolvie Can’t Stand Against The Mad Titan! 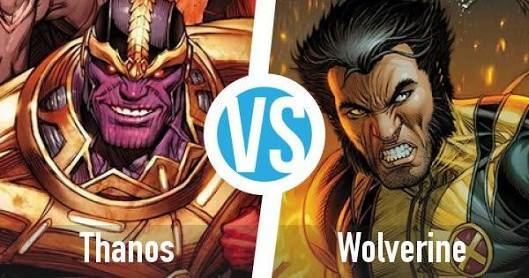 Wolverine vs Thanos: battle of the beasts! Beasts. Creatures of a primordial time. Beings of primal instinct, driven by the need for survival. These are the kind of beings we come face to face today. The creatures of the wild who fight for and against everything and everyone that pose a threat to their survival. Driven by a carnal need to feed and to neutralize any threat to their way of life. This is what we face today as two beasts of very different jungles collide with each other. 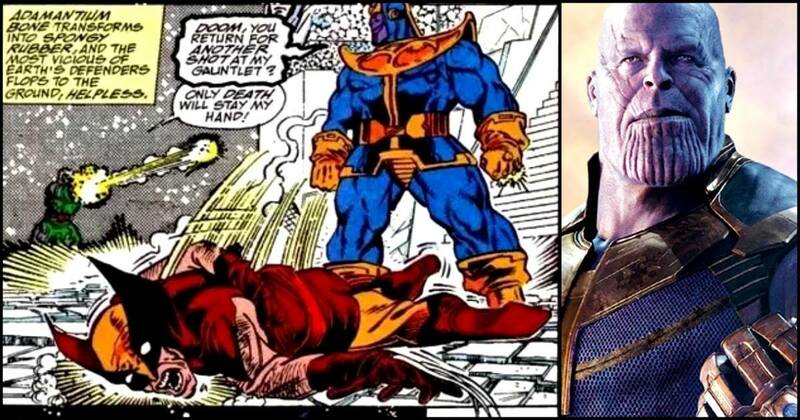 The Mad Titan is challenged by a mortal who is more akin to an animal than a human. But that is not all, it is also said that this mortal is invincible and un-killable. Does that statement hold any actual merit? Read on below to find out what happens when a beast challenges a Titan. 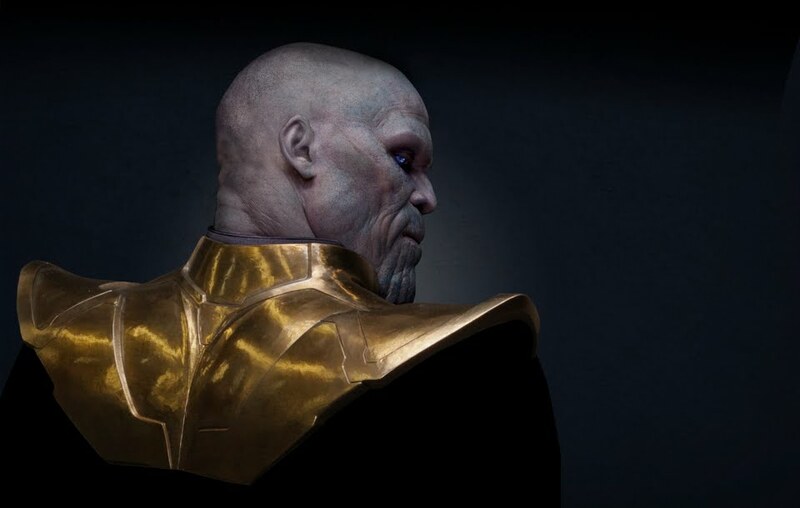 The tyrant of the dark quadrant and the creature wildly renowned throughout the universe as the Mad Titan is, in fact, a hybrid born of the Eternals. 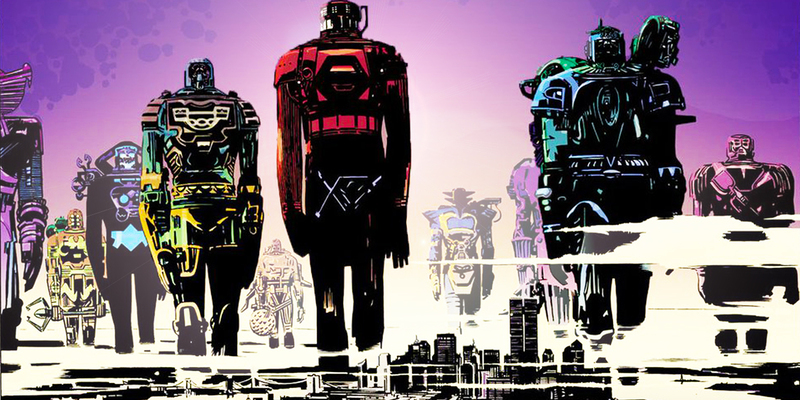 The Eternals were a race created by the primary creatures of the Marvel comic-verse known only as the celestials. These celestials include beings we are already familiar with including the grandmaster and the collector. You see, the Celestials were the creators of all life in the Marvel comic-verse, or so the writers have led us to believe. Although these beings of supreme power populated the universe with complex life, along the way they also realized that they had somewhat disturbed the balance of the universe in doing so. Hence, to correct their mistakes the celestials took to experimentation on the life they had so created, to judge it worthy enough to let it perpetuate itself or not. Hence, the segregation of the humans into three categories by the celestials. The first were the beings who were a distorted image of the human life, a subterranean species that would become the source of rumors of trolls and monsters in the modern era. The second was the normal humans themselves that populated the planet earth. And lastly the second variation of the human species was near perfect genetic beings known only as the Eternals. The Eternals were blessed with perfect genetic structure giving them perfect physical and mental attributes and longevity. These Eternals did not wish to occupy the same planet as with this of their primitive “ancestors” so they decided to leave the planet earth and occupied a moon of Saturn now named Titan. It was here that a child was born to the Eternals, a child with purple skin who would take up the name of the Greek God of death Thanatos. This child grew up to be Thanos. 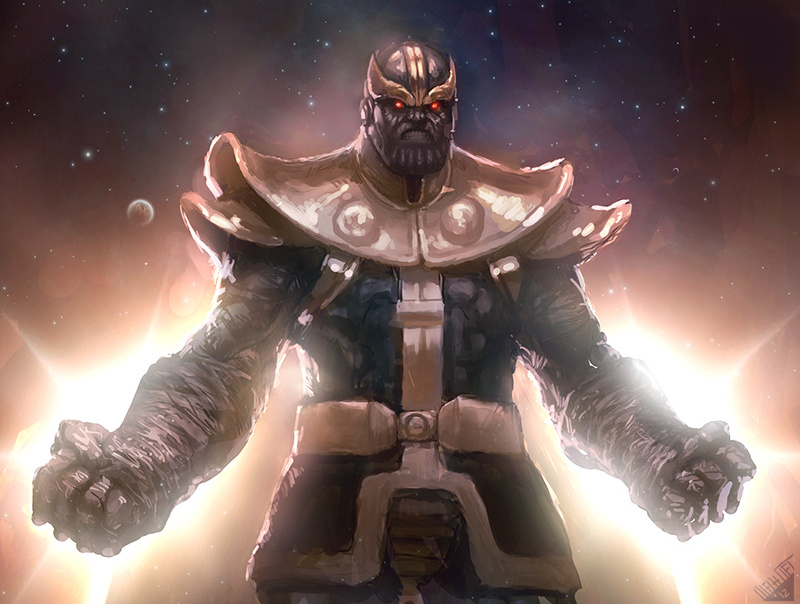 His strength unrivaled and his intellect to match even the greatest of tacticians Thanos assumed command of not only Titan but the entirely of the dark quadrant, ruling with an iron fist. This Titan was not all brawn, he had love in him too. 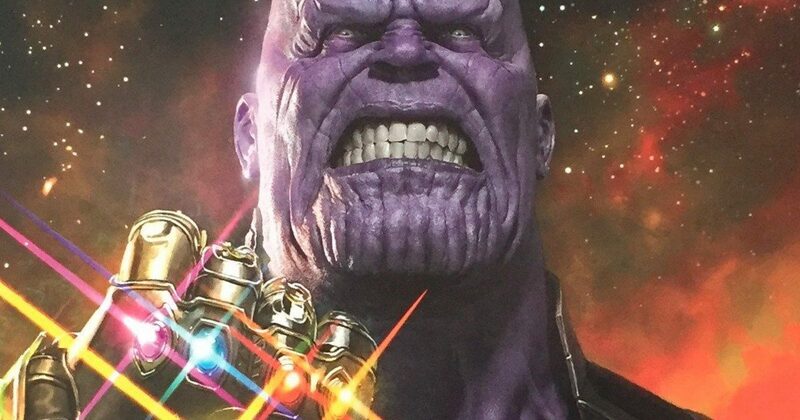 But this is Thanos we are talking about, so the object of his love can’t be as simple as a female. 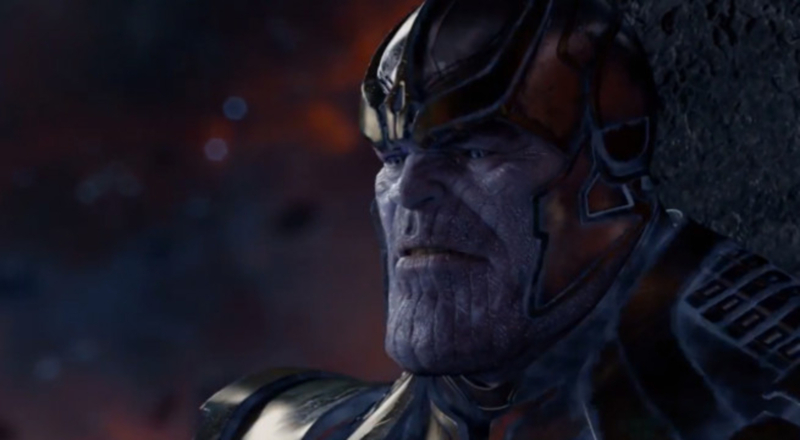 No sir, the entity Thanos fell in love with was Lady Death herself, or rather the personification of death. Lady death convinced her estranged and powerful lover that the universe was out of balance and the balance of life needed to be restored to the universe, the only way to do so was by wiping out half the life in all of existence and only this act would win Thanos Death’s favor. This is what instigated the Mad Titan’s hunt for the infinity stones and his pursuit of absolute strength and tyranny. 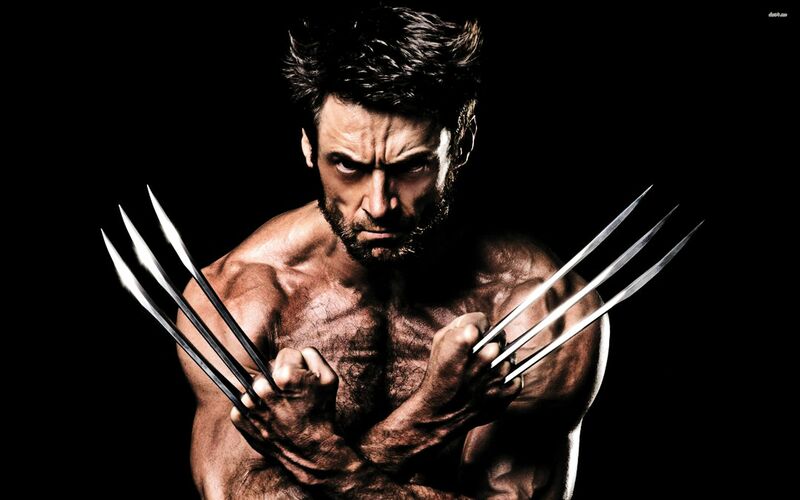 Born James “Logan” Howlett, Wolverine was born with a mutation that granted him the traits of a wolf. He had an enhanced sense of smell, enhanced strength, a feral nature, and a primal instinct for the hunt. 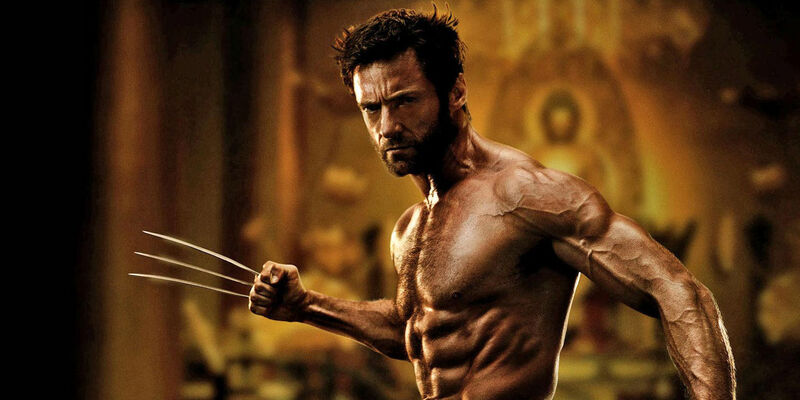 Along with these natural Augmentations, Wolverine also had the ability to draw out his bones from his knuckles, sort of how a wolf or a cat draws its claws. These bone claws are amazingly sharp and add to Wolverine’s battle power exponentially. Another peculiar trait that Logan possessed ever since his birth was his natural healing factor. The man had a body with an incredible regeneration speed, so much so that his regenerative factor has become somewhat of a long-running trope in the Marvel comics. Wolverine has, on occasion, regenerated from a single cell making him, arguably and virtually, un-killable and indestructible. This healing factor is also the reason why Logan is blessed with longevity and is expected to survive until the end of time or at least until a cosmic level apocalypse wipes out the population of the entire universe (Hello Thanos). This healing factor is also the reason why Logan was sought out for the infamous Weapon X program so run by the US government. 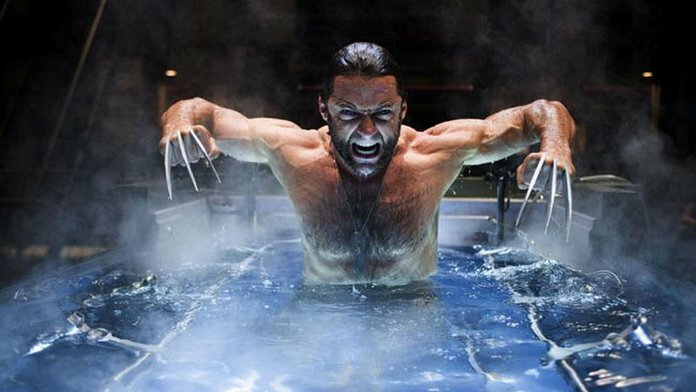 Agent Stryker, the head of the Weapon X program at lake alkali, sought out Wolverine to be a test subject in this program. The weapons program in its entirety constituted of the US government trying to weaponize the naturally occurring mutant powers of ‘Gene X’ individuals and then using these powers to create a kind of super soldier that would be a replacement for every country’s nuclear deterrent. This program took Logan and coated his bones with an indestructible metal known as adamantium. 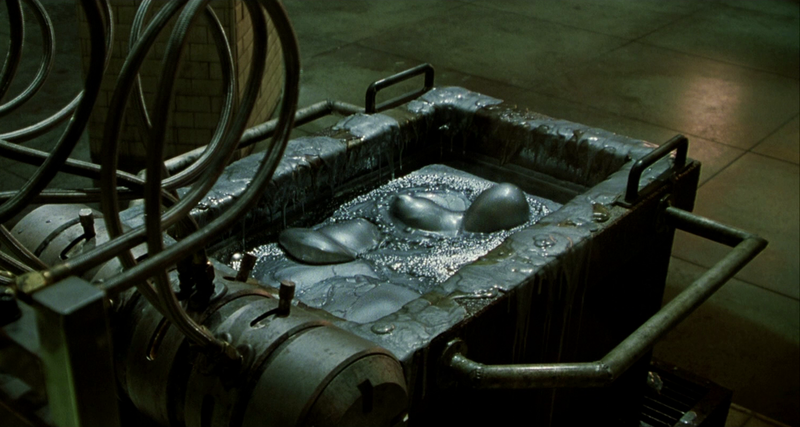 This metal not only increased the durability of Wolverine and give him extra strength when in combat it also increased the effectiveness of his claws as cooled down adamantium claws could virtually cut down anything. 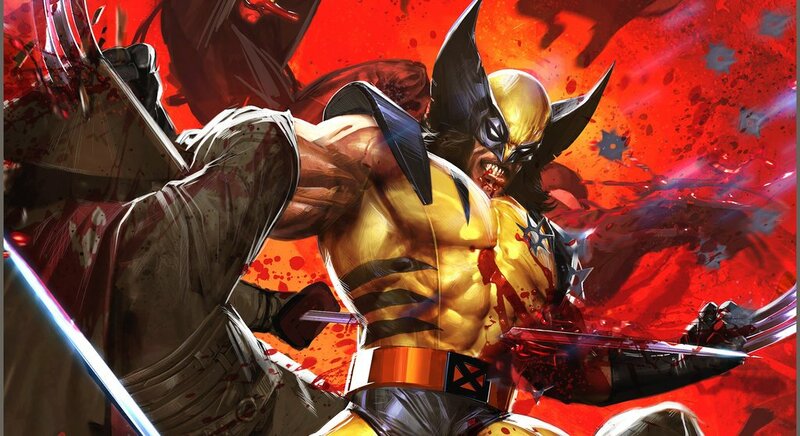 These augmentations over wolverine’s natural power and uncanny battle prowess make him one of the most fierce combatants in the Marvel universe. Not to mention his attitude which reeks of a lone wolf cliché and a badass personality and mentality to cut down any for no matter how strong. This is Wolverine and he’s about to face the greatest battle he has ever had to fight. Before I start the battle analysis let me just say that neither of these combatants are particularly worried about killing their opponents. Neither do they care about the gore nor are they bothered by the violence, they’re perfectly bred warriors that will kill anything in their path to achieve what they desire. They will not stop or retreat from the battlefield just because their opponent is stronger than them ( for reference Wolverine vs Juggernaut and Odin vs Thanos ) and they will not shy away from a kill just because their opponent begs for mercy. Now, it is quite obvious that neither of these assholes is interested in mercy, they’d much rather kill their prey than let it whine in front of them and neither of them will go down or stop fighting unless they are in the ground. The aforementioned facts establish that the only way someone wins this matchup is if they kill the other entity. So here we go. The analysis is simple really. 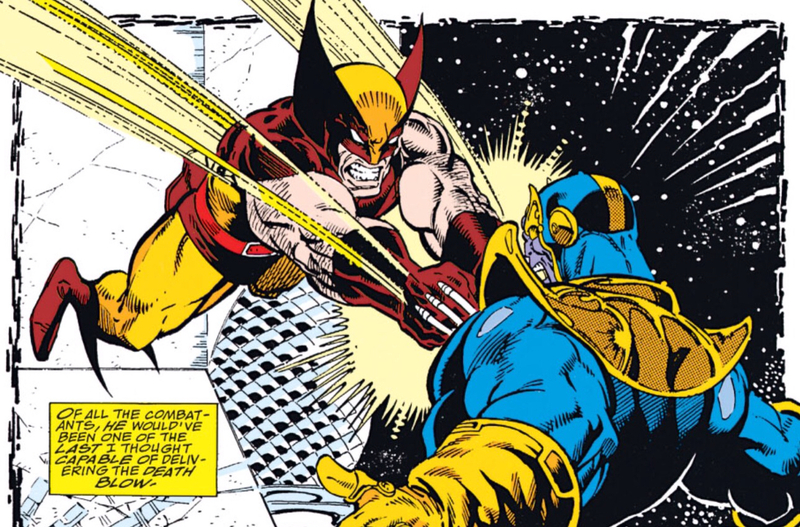 You see, no matter how proficient Wolverine is in the art of war or hand to hand combat, there are no feats in his comics to support the fact that he has the necessary strength to put the Mad Titan out for the count. Don’t get me wrong Wolverine is strong, he’s very strong from a normal human’s point of view but the Mad Titan is not normal. No sir, the Mad Titan is a being descended from the Eternals themselves and he holds both great strength and a genius level intellect. The Mad Titan has held his own against Gods like Odin and on the other hand, we see Wolverine struggle with mutants like Sabertooth. 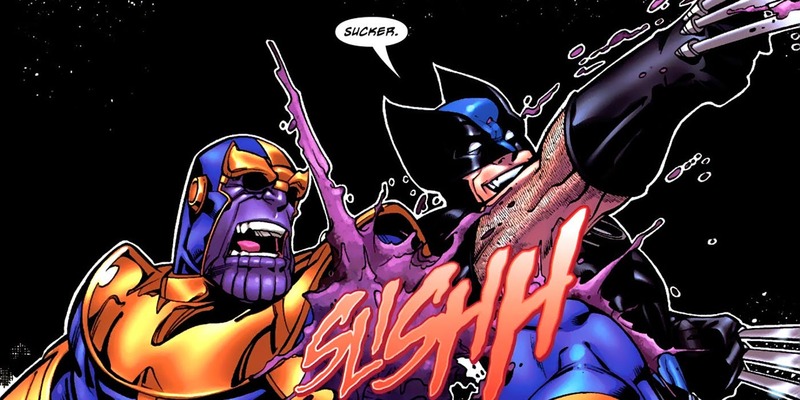 Not to undermine wolverine in any way but any sort of fight that he picks with Thanos will inevitably end in tragedy for the old mutant.